Help us by clicking a link and adding any item to your cart at Amazon within 24 hours, and we will earn a small referral commission. 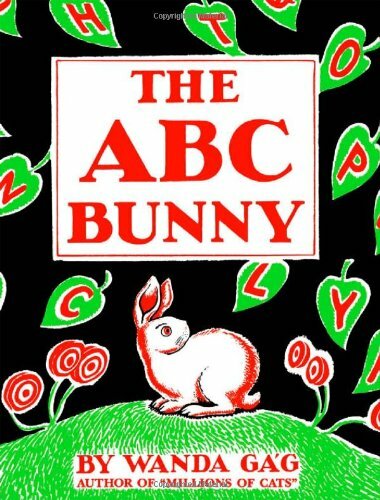 Below are search results for The ABC Bunny by Wanda G�g at Amazon. You can visit Amazon to customize this search. Below are search results for The ABC Bunny at Alibris. 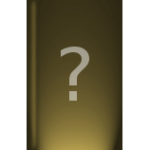 You can visit Alibris to customize this search. 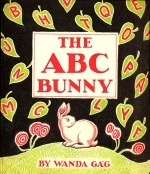 Below are search results for The ABC Bunny by Wanda G�g at AbeBooks. You can visit AbeBooks to customize this search. Below are search results for The ABC Bunny audiobooks at iTunes. Browse iTunes to customize this search. 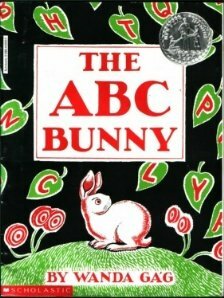 Below are search results for The ABC Bunny ebooks at Apple Books. A beloved 1950s Little Golden Book about the alphabet is back in print and ready to hop into young readers' hearts everywhere! This classic Little Golden Book, by the illustrator of Charlotte’s Web, is a go-to alphabet book for every child’s library! Adorable bunnies scamper and play as they introduce an animal for each letter. From Alligator to Panda to Zebra, Garth Williams’ expressive animals come to life for the littlest readers.